After Modern Masters hit the streets not quite two years ago, I started acquiring Modern cards as much as possible. Anything that wasn’t printed in MM was fair game, especially anything with keywords. Spellskite? Scoop ‘em up. Snapcasters. Fast lands. Goryo’s Vengeance. Various other cards that I don’t recall at this point. Suffice to say, I spent well over a year trading for as much Modern product as I could. With the format growing in popularity and the big reprint vehicle in the rear-view mirror, I wanted as much of my stock as possible to be Modern staples. And that’s what I did for months and months. Not that long ago, my consideration of that format as an iron-clad storage chest for Magic value began to wane. Modern Masters 2015 had been announced, and the number of places reprints were popping up was beginning to outnumber the amount of cards needing reprints. We’re now firmly amidst a sea of reprint avenues, each representing a potential hemorrhaging of value. I’ve been forced to stop stockpiling generic Modern staples and instead have been driven to find greener pastures in which to park my Magic value. Standard card prices rise quickly and fall off almost as fast. Changes occur on a weekly basis. The entire market is far more nimble and lean than Modern or Legacy. And while nothing is as safe and effortless as plenty of Modern cards are, there’s definite money to be made. I can’t park a few hundred bucks in Spellskites anymore, but as long as I’m paying attention, I can probably make more money. The trick is not to chase weekly tides. Rather, I want to look at long cycles, and get in while they’re at their floors. 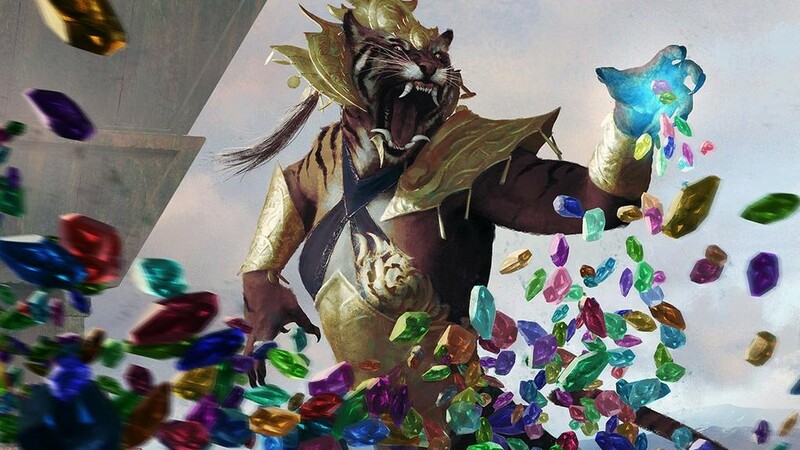 Today we’re going to talk about Khans of Tarkir, a set that is rapidly approaching its local value floor, and where to put your MTG funbux for the next six months. If you read my article last week all about rotations and pricing trends, you would know that Khan’s price peak should be some time in mid to late October, and that its floor should be between July and August. As good financiers who pay attention to the details though, we may notice that Khans is a little different than other sets . Whereas most fall sets are drafted through the spring, KTK is not. Once Dragons of Tarkir hit the market, KTK packs left the drafting economy. Is this enough to impact the price behavior? Let’s do some homework and find out. After all, perhaps the most important skill to cultivate in this field is doing your homework. In order to make wise decisions, you need to ask questions, and you need information to answer those questions. And no, bugging myself or Corbin or whomever on Twitter doesn’t count as doing your homework. Check price graphs. Find cards that are similar and note their behaviors. Look back through older sets for comparisons. Without all of this effort, you’re not doing anything other than making wild guesses. Alright, aside aside, we know the last time a set behaved in this fashion was Innistrad back in 2011. Once Avacyn Restored hit, Innistrad and Dark Ascension dropped out of the draft. Here’s INN’s price graph. Looks like the price floor is right where we expected it to be; between July and August. Excellent. Right now we’re six to twelve weeks from hitting the floor. How much further of a drop are we talking? Well, between today’s date in 2011 and the absolute floor that summer, Innistrad dropped about 18%. So we haven’t completely bottomed out yet, but we’re close. What we want to be doing now is identifying which cards we think will do the best through the fall rotation, and begin moving in on those. Starting now gives us a chance to decide our best course of action early, and time to start acquiring. Unless our plan is to just dump hundreds of dollars all at once on August 1, starting to trade today is a wise decision. Today I’m going to start with Khans, and touch on Fate Reforged another week. People have forgotten about Sarkhan, the Dragonspeaker by now, given Stormbreath Dragon and a general preponderance of dragons in Standard. It may feel surprising today, but there was a time when Sarkhan was being compared favorably to Stormbreath, and he had a price tag to match. While I’m not holding my breath for $50 again anytime soon, I do think that $8 is much lower than he can and should be. Admit it, you probably thought he was $10 or $12, right? We’ve collectively forgotten about him, and subsequently didn’t realize how cheap he’s gotten. His power level is undeniable though. He’s a five mana hasty 4/4 indestructible flyer—immune to cards like Ultimate Price, mind you—that can alternatively come down and nuke a tapped Ojutai. He’s a premier planeswalker from Khans, and when the index jumps 80 percent this fall, he’s going to be a big part of it. At the very least, we should see a price of $10 to $12, and I wouldn’t be surprised to see him climb above $15 at some point in October. There’s few safer bets in KTK than Sarkhan. 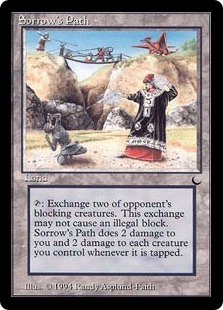 Take everything I said about Sarkhan and apply it to Sorin, Solemn Visitor, only slightly less so. His price spiked less hard at release, only cresting $30, and he hasn’t fallen as far, with a current price tag of $10, but he’s still a powerful planeswalker that is trading well below his future value. What makes Sorin particularly good is that while Sarkhan is mostly sitting on the sidelines right now, Sorin is still getting in game wins here and there in various stripes of Abzan decks. We know beyond a doubt that Sorin is strong enough for a high-powered Standard format such as this, and when we suddenly lose half the available cards, his relative power level will spike. There are plenty of decks in the format where your opponent casting a Sorin and activating the first ability it is essentially game over. We even see Sorin pop up in Modern decks occasionally, which is a testament to his strength. I can’t get enough Sorins right now. I’m struggling to reconcile Siege Rhino’s price with everything I know about Magic finance. We have a premier-level threat in two formats—Standard and Modern—and I can currently buy multiple playsets on TCGplayer for $4.25 a copy? What? Yes, it’s a fall set rare, and that means there is no shortage of copies on the market. But so what? Abrupt Decay was a fall set rare and was $10 while in Standard. In fact, it was in the same set as Deathrite Shaman, which was also at least $10. Oh, and both of those were also in the same set as shock lands. My point is that while fall set rares tend to be suppressed, especially when good lands are in the set, I don’t believe that it’s enough to stop tier-one grade-S staples from hitting high prices. Nearly every year I’m impressed by how valuable some rare manages to be despite being a fall set rare. This year around that card is going to be Siege Rhino. I expect it will at least double to $10, and I think $15 is within the realm of possibility. We’re talking about what is arguably the best card in Standard and is also a full playset in one of the best Modern decks in the format. In fact, my goal between now and July is to sell some excess stock I have and buy up Rhinos in anticipation of this fall. I was lukewarm on See the Unwritten when Khans was spoiled, but I didn’t know the next set was Battle for Zendikar, either. After BFZ was spoiled at PAX, Unwritten jumped from around $2 to around $6. It’s since pulled back towards $4, which is great for us: the lower the buy-in, the better. As soon as the first Eldrazi is spoiled, Unwritten is going to jump towards at least $8 as people get hyped to flip gigantic otherworldly monsters into play. Let me be clear here: Eldrazi don’t even need to be legal yet for this to double in price. At $3 or $4 in trade, this is a spec that will be profitable on hype alone. If it’s actually good, we’ll see prices well into the double digits. See the Unwritten is a popular card across several demographics and formats, such as kitchen-table Magic and EDH, so any Standard demand whatsoever is going to push the price very hard. I’m in for seventy copies or so right now and I’ll be looking to expand that investment through trade binders this summer. We’ve all come to take Sylvan Caryatid for granted. It’s been so long at this point it feels like a permanent fixture. She’s (they?) are on her way out though, and we’ll need something in her stead. Enter Rattleclaw Mystic. There’s really no other comparable mana fixer in Standard right now. It’s possible we get Birds of Paradise, which would be awesome, but I’m not holding my breath. As a buy-a-box promo, we already know that Rattleclaw Mystic is slated to be a serious Standard contender, just as Sylvan Caryatid was. It plays extremely well with the Deathmist Raptor/Den Protector synergy that is likely to be the backbone of many Standard decks over the coming months, allowing them to splash into red or blue. Battle for Zendikar will have all sorts of cool things to ramp into. What’s not to like here? While Wingmate Roc performed admirably earlier in the season, I’m not particularly excited about it this fall. Our embarrassment of riches in the DTK dragons is my primary reason for doubting the return of the bird. With so many powerful flying threats such as Ojutai and Atarka, it’s going to be tough to find a reason to play a card like Roc. Does this mean the card has no future whatsoever and is total bulk? No, absolutely not. It could very well come to transpire that Roc ends up being a relevant component of the metagame this fall and hits $10 again. I’m not writing this article to look for “maybes” though. While you could do worse than Roc, I’d much rather put my Magic dollars into what I feel are basically home runs, such as Siege Rhino and Sarkhan. I’ve been hemming and hawing over what to do with Dig Through Time while writing this article, and I finally realized that my indecision is exactly my issue with the card. Could DTT hit $15? Aaaabsolutely. No question. Is it a 100 percent slam dunk the way I consider these other cards to be? Not at all. It’s banned in Modern, which cuts a big chunk of potential demand out from under it. It sees some light play in Legacy, but rarely as a full playset. Browsing the EDH stats over at MTGS, Dig Through Time isn’t even a top-50 blue card in the format. Perhaps my biggest concern with Dig Through Time is that it’s already a $6 card. That’s a tough number to make profit on when we’re talking about a rare rather than a mythic. When Siege Rhinos are $4, Dig Through Times at $6 are simply less appealing to me. I fully understand if some of you out there want to go deep because you expect DTT to hit $15 this fall. It’s definitely a possibility. It’s the strongest blue card draw spell we’ve seen in ages, and it’s clearly eternal playable. It comes down to a matter of opportunity cost. For every Dig Through Time you buy, it’s one-and-a-half fewer Siege Rhinos available to you. At the end of the day, I’m more comfortable with Rhinos than Digs, though I can respect those of you that opt to pick up copies. What do you think about the opportunities out of Khans? Editor’s Note: Announcing exclusive content for ProTraders! If you’re reading this, I’m sure you’ve noticed that we’ve been quite busy around here. Put simply, it’s an exciting time for MTGPrice. We’ve been working hard to increase our content offerings for you. I’m sure you’ve noticed we’ve been running more great content from the best authors in the business (If you haven’t, I suggest you take some time to look over the work our authors have created, it’s truly top-of-the-line). We’re working hard to make sure we’re ahead of the finance game and get that information to you as quickly as possible. We’ve got big plans for more content and features to come, and if you stick with us you’ll see the fruit of those labors over the coming months. With that in mind, I have an exciting announcement for our ProTrader subscribers. We have an all-star staff of writers here, most of whom have many years of experience in the business and have seen it all when it comes to the financial side of the game. Beginning this week, we are making some of that content available exclusively to our ProTrader subscribers. Whether you’re a longtime member or just giving us a try as part of the Kickstarter, we’re excited to offer this to you. Our lineup of ProTrader-exclusive articles comes from the most respected names in the business, a group of experienced traders and dealers who have time and again proven why they’re the best there is to offer. Moving forward, this is the content that will be available exclusively to ProTraders. That’s six full days of the best Magic finance writing on the planet. In addition to that lineup, ProTraders have access to the buzzing MTGPrice forums (for all your truly up-to-the-second financial needs), early access to the industry-leading Brainstorm Brewery podcast, advanced tools for tracking your collection’s value over time, and access to raw inventory data from individual stores to track just how much a particular card is moving. That’s a lot of value for your $4.99 monthly subscription, and if this sounds interesting to you, I hope you consider becoming a ProTrader today. But if that’s not for you, fear not; MTGPrice will always have some free content as well. Our authors writing for the free side are quite capable, and I’m sure you’ll enjoy reading these guys every week. Magic has made some huge leaps over the past few years, and it’s truly an exciting time to be around the game. We’re going to continue to work hard here at MTGPrice to make sure you’re able to keep up, and we like to think it’s an exciting time around here as well. Spend some time around our site, and I think you’ll agree. If you’ve been around MTG finance for long, you’ve often heard that trading into Reserved List cards is a great way to lock in and grow value over time. Indeed, picking up dual lands, Force of Will, Wasteland, and other eternal staples has proven time and again to be a great way to hold value, if not make a profit. Finding these types of cards in trade binders is tough. Not everyone has the value needed to trade for big cards like this. And let’s be real, for every Old Man of the Sea, there’s a Sorrow’s Path, and despite being on the Reserved List, you should not pick up Sorrow’s Path. I know, these are the kinds of hot takes that keep you coming back to MTGPrice every week. Okay, so what is a new or budget-minded or just-plain-cheap mage to do? Very few people are going to trade their Legacy staples for your Sylvan Caryatids and Coursers of Kruphix, but they’re still losing value every day all the same. Maybe you can flip them into Dragonlord Silumgars and Atarka’s Commands, but those have a shelf life of their own, meaning you’re just going to be playing this same game next year. Fetch lands are the obvious answer, but everybody touches on that fact, and just saying the same thing doesn’t make for a very interesting or informative article. And even still, it’s been shown that reprinting major lands in Standard drops their prices in a big way, so it’s not like you can just hold on to fetches forever. So where do we look? Look, you already know I’m talking about planeswalkers today, so I’ll quit pretending that I’m leading up to some major revelation. Planeswalkers, you may be aware, are a casual favorite, from kitchen-table to Commander to Cube. There aren’t very many of them (only 59 by my count! ), which makes them special compared to just about every other card type in the game. When they are good in eternal formats, they tend to get pretty darn expensive. There are distinct categories of planeswalkers, and we’ll be grouping all 59 of them today, for posterity. Okay, this one’s easy. If you’re looking to lock in value, don’t trade for Standard planeswalkers. They are almost always fringe-playable in Standard at the least, and that helps buoy their values until rotation. The floor price almost always comes just after they rotate, so I wouldn’t mess with Standard planeswalkers until then (unless you need them to actually, like, play Standard). There are 16 planeswalkers currently in Standard, which is kind of crazy when you consider that’s more than a quarter of all planeswalkers ever printed. There’s 10 that I believe will be available for between $4 and $5 after rotation, and significantly, never go down from there. 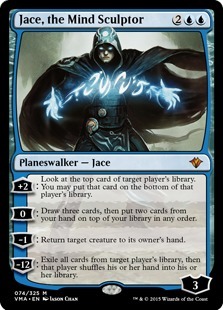 Only Jace, the Living Guildpact might go below $4 of these—that guy may indeed end up being buddies with Tibalt. All these others are trade targets at $5, in my opinion. They’ll hold that $5 in perpetuity, and many of them will gain value over time. (We’ll look at past examples of this effect later in this article). Sorin is parenthetical because I mentioned him above, but with a current price of around $10, he could fit in this boat. Really, though, all of these cards are a little more expensive than Jace, Xenagos, or Ashiok, and I just don’t feel like any is a great buy right now. 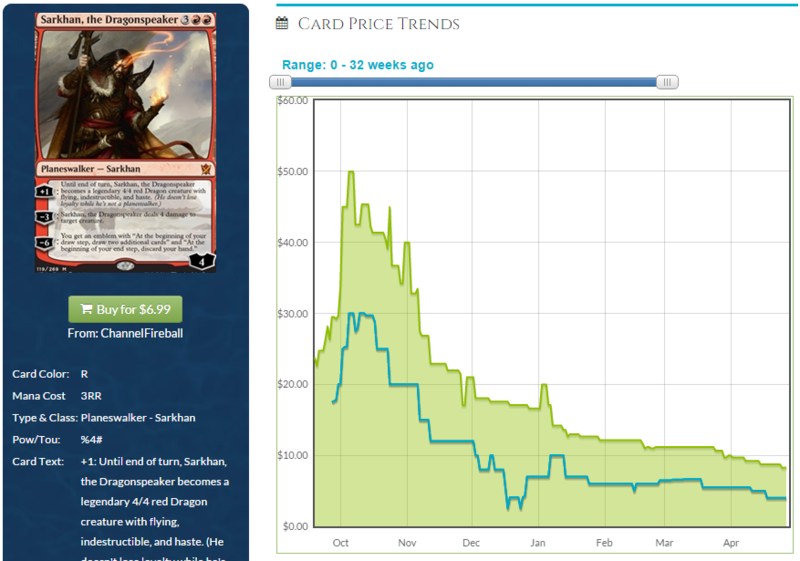 At around $8, Sarkhan, the Dragonspeaker comes closest, but I’d like to see it around $6 before I pull any triggers. It’s not like the card has been blowing up the tournament scene in the last year. Ugin is interesting, as Karn Liberated‘s history is going to impact the Spirit Dragon’s trajectory in a big way. I don’t believe we will ever see Ugin below $15, and that will likely not be until rotation. Being from a small, middle set means the supply is particularly low, so I would not be surprised to see this outstrip Karn within a few years. Finally, Garruk Apex Predator and Nissa, Worldwaker will probably not drop to the $5 point where I expect most other current Standard planeswalkers to end up. Any price under $10 for these two cards is probably a good acquisition rate, as these are powerful, evocative, popular, and in low supply. Like the last few core sets, M15 wasn’t overwhelmingly popular. Very few planeswalkers make it in Modern, and even fewer make it in Legacy. When they do, the price usually reflects it, although to varying degrees. It’s a very short list. Elspeth and Ajani both are between $10 and $20, but both have multiple printings to help satisfy demand. The other four or are all $25 or more, with Jace and Liliana pushing up toward $100. 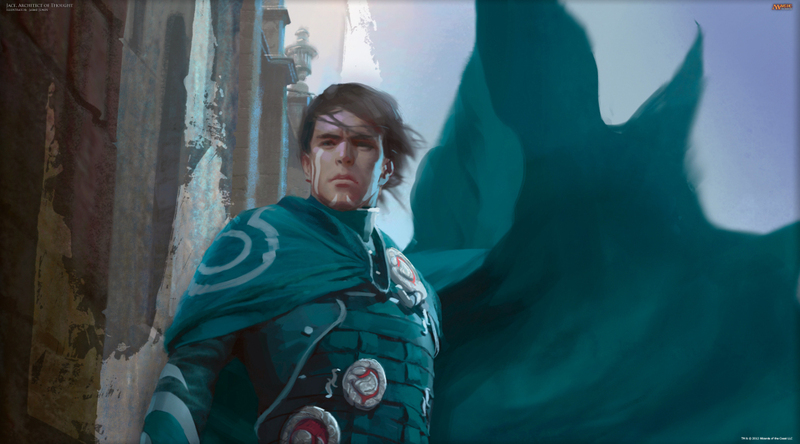 Dack gets most of his demand from short supply and Vintage playability, but it’s such a powerhouse in that format that it seems reasonable to add it here. Still, though, with so few planeswalkers being good enough—and I highly doubt any in Standard will join this list expect perhaps Ugin—the next section is where things get really interesting. I’m going to divide the rest of the 59 planeswalkers we haven’t discussed into two groups: “bad” planeswalkers and “good” planeswalkers. I’m basing this on what’s popular in Commander, Cube, and other casual formats, as well as just how frequently I see a card played anywhere. Yes, this is fairly subjective. Deal with it. Fair Trade Prices are as of April 27, 2015, and are listed next to each card. You can certainly argue that some of these deserve to be on the “good” list, but I don’t think there’s much argument that this list closely approximates “the 15 worst planeswalkers ever printed,” give or take one or two that’s still in Standard (with the exception of Jace, Memory Adept, which just doesn’t see a lot of play because it’s too good in small-deck formats and not good enough in big-deck ones). Note that only two of these planeswalkers are under $4 and only four are between $4 and $5. Many are over $10, some in the face of reprints. The average price of these “bad” planeswalkers is $6.81. Here we have an average price of $8.71, just about $2 over what the “bad” planeswalkers are worth. Pulling the average down are Daretti, Scrap Savant (who Douglas Johnson called out in a recent article) and Jace, Architect of Thought, which is at a shockingly-low $2.82. Yes, this saw a Duel Deck printing, but so did several of the cards on the above list, and they didn’t ever go this low. Jace’s Duel Deck art also has the distinction of being hideous, so you would think the RTR versions would be worth a bit more. Check out the charts for some of the above cards. Except for the ones that just rotated out of Standard, many have been increasing over the last year. Tamiyo went from $12 to $19. Koth went from $4 to $6. 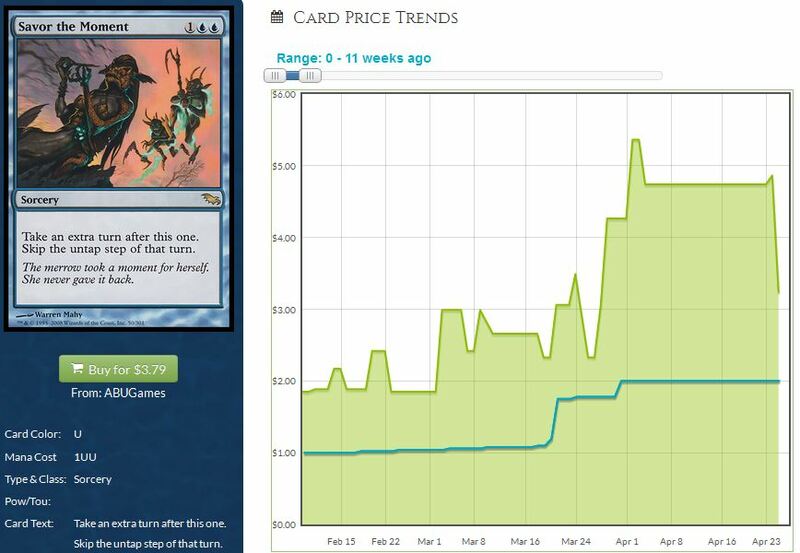 Nicol Bolas went from $4 to $10. As a general rule that holds true so, so often, planeswalkers go up over time. They almost never go down, except when they rotate from Standard. Even reprints don’t devastate their prices in the same way they devastate other reprinted cards. In many ways, planeswalkers are some of the safest cheap investments you can make. Besides Jace AOT, Garruk Relentless just seems too low. Sure, it’s not big and flashy for Commander, but it’s fantastic in Cube, only has one printing, and is the only double-sided planeswalker ever printed. For all I know, that last point could actually be a point against it, but double-faced cards really did end up going over very well (and will be back in Magic: Origins). And the best thing about picking up rotating planeswalkers? Whether they end up in the “good” camp or the “bad” camp, they all tend to go up over time. Isn’t that awesome? I’m going to revisit this topic periodically, perhaps every few months, but at least once or twice a year. Planeswalkers perform like nothing else in MTG finance, and that makes them worth a close look on a regular basis. Have comments? Want to harangue me for calling your favorite planeswalker bad? Or do you want to point out the next hot planeswalker spec? If you have things to say, you know what to do. By now it’s no secret that I treat MTG investing very seriously. So seriously, in fact, that I compare the performance of my MTG portfolio loosely with that of the S&P 500. And why not? If I’m going to legitimately invest real dollars in original dual lands, shock lands, booster boxes, etc. then it only seems appropriate that I compare the return on these investments with that of other investment opportunities. But my holistic approach to investing doesn’t stop here. This week I want to dive into a more advanced economics topic out of the field of game theory by applying one of the most well-known truisms of game theory to our favorite MTG topic: buyouts. That’s right. I believe that we could potentially apply an advanced economics concept to understand something reactionary and emotional in the MTG Finance community. Think I’m crazy? Think it can’t be done? Well, allow me to at least try. Before I jump into concept application, I need to establish a few assumptions first. These suppositions are not very far-fetched, so I don’t think you’ll have difficulty accepting my thesis because of these assumptions. First, let’s assume that when a buyout of a certain card occurs, everyone attempting to purchase the card does so “simultaneously.” That is, when we’re ready to pull the trigger and make our purchase, we aren’t waiting for someone else to take their turn making a decision before us. We click the buttons as fast as we can to purchase the copies we want. And in the meantime, everyone else is doing roughly the same thing. In other words there is no turn taking or prescribed order. Second, we have to acknowledge buyouts occur in a non-cooperative manner. For example, when Den Protector spiked during the most recent Pro Tour, I wasn’t colluding with others in an attempt to obtain the market price I wanted. No strategy was involved in this regard. I rushed to eBay and TCGPlayer and picked up a bunch of copies as quickly as possible. I may have mentioned my actions on Twitter, but this communication was ex post facto. And even if I had cooperated with a friend, it’s not like the whole MTG community speculating on a card would ever work together – it’s an aggressive business we’re in! 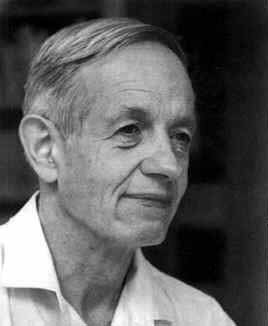 John Nash was the famous economist who developed this theory and later earned a Nobel Prize for his work in the field. You may also recognize the name from the movie showcasing his genius and his struggles with schizophrenia, A Beautiful Mind. 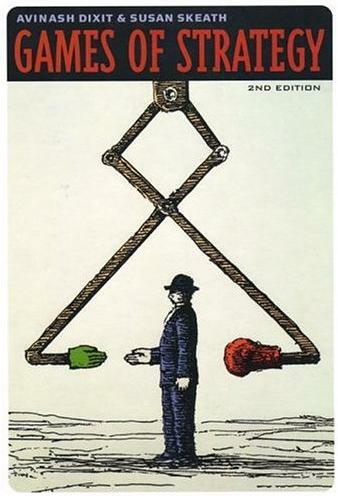 His Nash equilibrium concept describes motivations for people’s behavior when interacting non-cooperatively. (Aside: In game theory, any such interaction is referred to as a “game.” This is not comparable to playing a game of Magic – rather, the game I’m describing is the decision process of where we buy our cards and for how much during a buyout). If we want to look at the definition of Nash equilibrium above, we can use specific terms to describe MTG buyouts. The first part of the definition describes the “solution,” or the actual outcome of everyone’s buyout decision (i.e. total copies purchased, where they were bought from, resulting price spike, etc). The second half of the definition is a bit more advanced. Essentially, the suggestion is that all parties involved know everyone else’s best strategy. In MTG buyout terms, we need to make one more assumption: the best action at the beginning of a buyout like Den Protector’s is to buy up copies at or near the starting price. 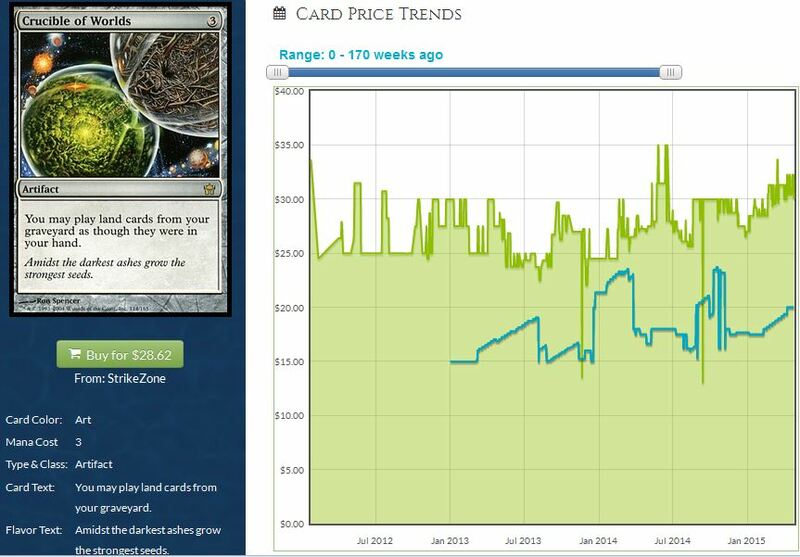 When a buyout happens due to legitimate demand, the card’s price jump is more likely to stick. Therefore, purchasing copies at or near the starting price during a buyout is definitely the best strategy – it makes you the most money! Everyone knows this, and everyone knows that everyone else is also eager to buy those $1.50 – $2.00 Den Protectors before they double or triple in price. Thus, we say the Nash equilibrium of the buyout is that everyone buys up more and more copies of the card and the price catapults higher. This is the best strategy because those who bought at $1.50 – $2.00 can in turn sell their copies for profit. Originally framed by Merrill Flood and Melvin Dresher, the Prisoner’s Dilemma is a concept that can be applied to a diverse number of real-life interactions ranging from cola advertisements to nuclear stand-offs. My argument is that this sophisticated game theory dogma also applies to buyouts of Magic cards. 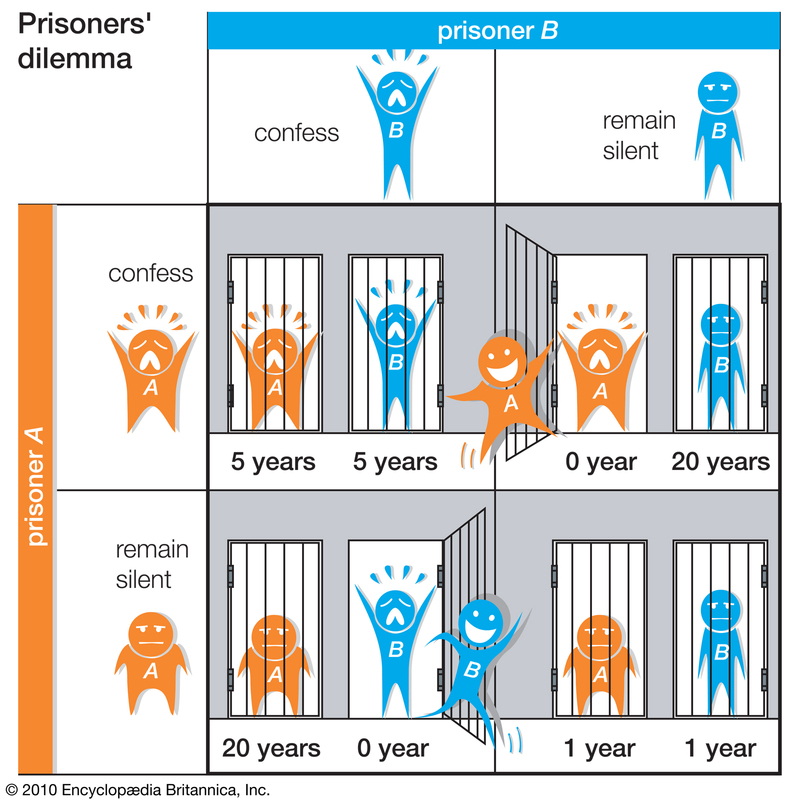 Explaining the Prisoner’s Dilemma is best done by example. The namesake explanation involves two strangers caught robbing a store together. They are brought to the police station where they are interrogated individually. The police do not have sufficient evidence to convict the prisoners of an armed robbery charge – only illegal possession of a weapon, which of course merits a much lighter sentence. So in an attempt to drive out a confession, they offer each prisoner separately the same deal: rat out your friend by confessing, and you will be rewarded with no imprisonment. What’s the Nash equilibrium in this case? Put yourself in the shoes of one of the prisoners. If you assume your partner in crime is going to confess, then there are two possible outcomes: you don’t confess and take the fall, letting your partner walk freely while you suffer 20 years in prison for armed robbery and lack of cooperation with the police; OR you do confess, earning you and your partner a lighter, yet-still-strict sentence of 5 years in prison for cooperation. Given these two options, your best choice is to confess at least ensuring you avoid an unnecessarily long prison sentence. Now what happens if you assume your partner is trustworthy and he is going to remain silent? Once again you have two choices: if you also remain silent, then the police cannot convict you of the armed robbery (there’s too little evidence) and you both receive a one-year sentence for illegal possession of a gun. On the other hand, if you confess, your partner would go to prison for 20 years while YOU get to walk away a free person. Given these two options, your best outcome is still to confess, since it means you don’t have to do any time in prison! That’s the best possible outcome for you! The picture below depicts this interaction in a 2×2 grid. No matter what you assume your partner will do, the best decision you can make is to confess. And that’s what happens – both prisoners confess netting themselves the five-year prison sentence. The advanced part of this comes into play when we compare the actual outcome with the optimal outcome. It is undeniably ideal for both prisoners to remain silent – it nets them the least number of total years spent in prison! But because of the selfish assumptions of Nash equilibrium (i.e. there’s little emotional motivation for helping the other prisoner), both prisoners end up with a worse outcome because they do not cooperate. How does this apply to Magic? I’ll argue there are two applications. Application 1: Instead of dealing with prisoners and robberies, we’re dealing with purchasing a quantity of a Magic card at a particular price. We’re all faced with the same decision point during a buyout – do you pull the trigger quickly and grab copies or not? The more copies you buy, the more opportunity you have for profit. In this game, buying up a ton of copies is equivalent to confessing and cooperation involves collusion. How do the outcomes look? If everyone rushes out and purchases a ton of copies in an attempt to make bank, many participants in this game are stuck paying too much. As we’ve seen many times in the past, a buyout leads to a card’s spike followed by a race downward in price as people try to sell their copies for a quick buck. Savor the Moment is a recent example of this trend. Notice how copies are scooped up aggressively starting in the $2.50 range in late March and ending in the $5.50 range, only to see a drop back down to around $3.25 most recently. When everyone decides to aggressively buy, the price jumps too high, too quickly. In these cases many people are left holding excess copies they are unable to sell for much profit because the higher price inevitably leads to a glut of supply as people try to cash in on the spike. Of course, those who don’t jump in with their hard-earned cash are in the worst shape of all. They own zero copies and they are stuck either paying a higher price or waiting for a drop that may never occur (usually the price ends up higher than the starting price but lower than the peak). No one wants to be in this scenario as it’s the worst possible outcome. So what does everyone do? They all buy up as many copies as they can, sending the price higher and higher! Missing out on the “next big opportunity” is just too painful. My argument is that this is another example of the Prisoner’s Dilemma. We all “defect” by purchasing a ton of copies while leaving those on the sidelines regretting their inaction. But this leads to a subsequent market glut and difficulty in liquidating copies at a profitable price. I’d argue the best possible outcome would be if the people who wanted copies most purchased the playset they need and those who don’t really want copies just ignore everything. Such cooperation would mean that the people who want copies would get their copies, but those who don’t simply stay away. The price may tick up a tiny bit, but there would definitely not be a huge spike. Then people who decide they don’t want their playset anymore could sell for a small profit and there would be no race to the bottom. And those who didn’t buy before aren’t faced with paying 50-100% more should they decide they want to obtain copies. To me, this is the very definition of a healthy market. When a card increases or decreases in price it does so slowly and due to the natural shift in supply and demand. Crucible of Worlds is a great example of a card that has never been “bought out,” therefore leading to healthy price appreciation and no huge drops. So what’s the course of action here? Unfortunately, there is really little we can do to avoid the trap that is the Prisoner’s Dilemma. There’s a reason why both prisoners tend to confess, and Coke and Pepsi choose to advertise, and countries choose to invest in nuclear weapons, etc. etc. It’s not the optimal outcome for the entire population, but it is what inevitably happens thanks to Nash equilibrium. I think the best thing we can do is at least make ourselves aware of this phenomenon before buying into the next spike. It would be naive of me to believe everyone can suddenly cooperate – it’s against human nature. But if we could at least communicate a little better as a community then perhaps we can soften the blow for those left holding the bag in a buyout. For example, when we make our purchases we could be more transparent with how many copies we’re buying and how much we are willing to pay for said copies. We could also make it public what our strategy is for selling – timeline and desired sell price. Lastly, we could strengthen our relationships with others throughout the community. One thing Nash equilibrium always assumes is that everyone behaves rationally and in their best interest. Friendships and emotional attachment are disregarded. But of course these things DO exist in reality. By developing stronger ties with the rest of the MTG community, maybe we can all be slightly more sensitive to market manipulation. We’ll never eliminate price spikes altogether, but maybe we can help our friends avoid losing money by buying into the hype too late. I’m out of words for this week’s column, but perhaps you’ve noticed something. I only shared one application, but I said there were two! In similar fashion to a “You Choose the Scare” R.L. Stein novel, I’ll pose the question to my readers: did you enjoy this topic enough that you’re curious to hear my second application as a Part 2 to this article? Or would you prefer I moved back to more traditional MTG Finance writing? Leave your opinion in the comments section, and we’ll let the majority rule! There’s another reason I used Crucible of Worlds as an example in my article. Nonfoil copies of the rare are completely sold out at Star City Games. Tenth Edition copies are sold out at $30.79 and Fifth Dawn copies are sold out at $32.35. If these don’t see reprint in Modern Masters 2015, there’s no reason they won’t continue to slowly chug higher. I honestly thought Bosium Strip was a forced buyout that would result in a subsequent price drop, just like my Savor the Moment example. But this has not been the case. Perhaps not enough copies of the card exist for the market to truly be “flooded” by eager speculators. 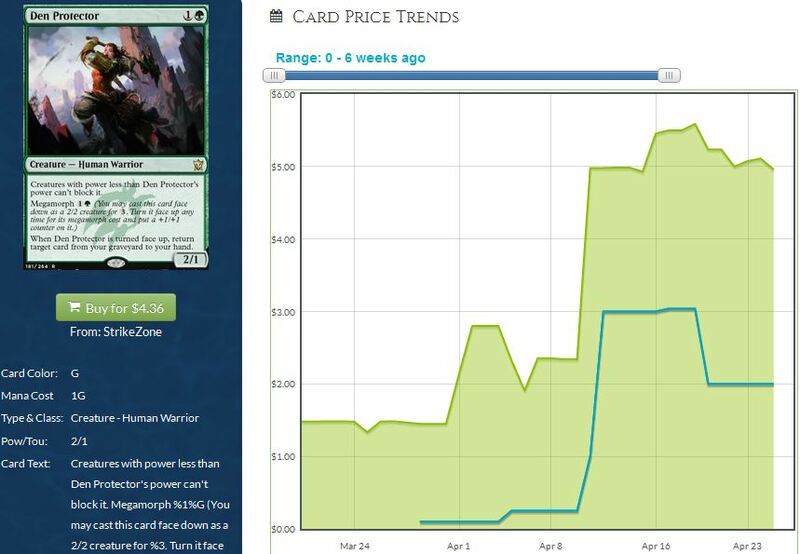 In any event, SCG is sold out of the card at $4.89 and Channel Fireball currently has a buy price of $2.50! Another card that has healthily grown in price over time is Umezawa’s Jitte. The card has always been popular in various formats where it isn’t banned, but it’s never really in the spotlight. Star City Games has only 3 total copies in stock, with 0 NM copies at a $36.55 price tag.